Formalizing your thought process improves your preparation of voir dire questions. We provide trial lawyers with a complimentary worksheet. Written by a top lawyer, this worksheet improves your voir dire questions, by formalizing your preparation process. 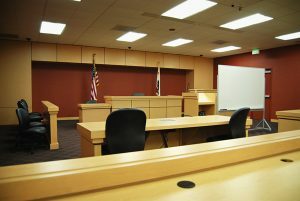 Always, when you prepare your voir dire, think of a half dozen or dozen sentences or phrases which will get a discussion started with jurors. An example is listed below. Looping questions get the jurors to talk about their real beliefs. Looping questions are those that occur when after you get an answer from one juror, then use that answer in a question to another juror, like the following example of a series of three looping questions. Notice the variations [italicized in the example]. Memorize some variations of “what do you think about…” so they come automatically to you while you are standing in front of the prospective jurors. Mr. Johnson says that there are too many lawsuits; Mrs. Lopez, what do you think about that? Mr. Blackstone, how do you feel about what Mrs. Lopez just said — that there aren’t enough of some kinds of lawsuits, but too many of some kinds of lawsuits? Mr. Blackstone, I am glad you said what you did, because it’s one of those things people don’t like to talk about too much in front of strangers. Who else feels like Mr. Blackstone? Download the complimentary Voir Dire Content Worksheet at no cost.